The purpose of marriage goes beyond becoming one with each other. The purpose of everything in this life is to lead us to unify with God, to become divine in all things except essence and being. The sacraments serve to unite us to God in love. As Christ is, so we are to be, but this is a process. Thus, the sacraments (which were created for men and not for God) help us move towards this unification; none of the sacraments are good in and of themselves. That is, all of the sacraments are contingent upon Theosis; remove Theosis and the sacraments have no meaning, purpose, or context. The same remains true for the sacrament (or sacrament-in-all-but-name) of marriage. If we remove that we are to one day become as Christ is from our eschatological and soteriological view of the world, then the idea of “become one flesh” makes little sense within a marriage. We end up in senseless debates over how much self-sacrifice is appropriate or about who should be in charge. Therefore, the above should show us that the purpose of marriage is to lead us towards unification with Christ, as this is the purpose of all sacraments. We unify that we might become unified; we unite in one flesh with another mortal so that we might learn how to unite with the One who is immortal. All followers of Christ engage in marriage; one is married to another individual, or one is married to the Church via a vow of celibacy. In focusing on what the majority of the Church will do, which is to be married to another individual, we see that the purpose of marriage isn’t for self-sacrifice or even for a partnership, but to help aid one another (and one’s children) in growing with Christ. Thus, everything within the marriage ought to prepare the couple for eternity. With the purpose realized, the content and context of marriage begins to make more sense. If both are to aid each other, then both are equal. Both are, in fact, citizens of the kingdom of Heaven and therefore are equal already (Galatians 3:38). Even St. Paul points out that the husband’s body belongs to his wife and the wife’s body belongs to her husband, indicating equality in authority between the two (1 Corinthians 7:4). To this, the egalitarians smile and agree. Yet, even within equal relationships there is order. One would hardly argue that the Father is more important than the Son or Spirit. We would agree that within the Trinity though there is unity in essence, there is distinction in person, which means that order exists. Even within the most unified relationship in all of existence, in the Holy Trinity, there is order; so it is with marriage. Within this order, husbands and wives are called to submit to each other (Ephesians 5:20-33). Husbands are called to sacrificially love their wives as Christ loves the Church and wives are called love their husbands as the Church loves Christ. In both situations, there is order, but it is sacrificial. To this, complementarians would smile and agree. Yet, even with order there is no exchange of authority, no final word, no, “I am the man and do as I say.” The man’s word is only as good as his intention and if he is not leading his family towards unification with Christ then he is unfit for his position. This is not to say the wife should rebel against him and humiliate him in front of everyone, nor should she do this even in private (and vice versa). 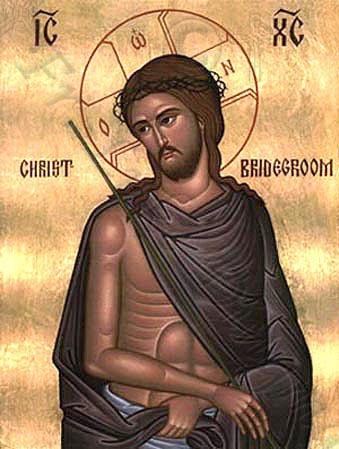 After all, the legs do not mock the arms for being weak and Christ does not mock the Church in her various failures. Rather, love ought to win the day when one partner is weak and love is always sacrificial and submissive. In this, marriage acts as an icon for Christ’s relation to us. Christ has authority over the Church, yet is not superior to us in nature (as He is both God and man, but in his human nature He is equal to us). Christ is, truly speaking, the first among equals concerning the whole of humanity. When we submit to Christ, the whole Christ, we must submit to His Divinity (a nature that is above us), but we must also submit to His humanity (a nature that is our own). In submitting to His humanity He does not become greater than us, any more than submitting to a boss or a parent makes either greater. Likewise, when a wife submits to a husband, she willingly submits to an equal (and the same is true when a husband submits to the needs of his wife). The submission to one another is meant to help us become better in our submission to Christ. After all, if we can submit to an imperfect human’s needs how much easier is it to submit to Holiness Himself? We must never forget that the purpose of marriage – unification with Christ – is seen throughout the Bible. The Bible itself opens with the marriage of Adam and Eve and closes with the marriage of the Church to Christ. The purpose of marriage is to prepare us for the final marriage. It is not about I, it is not about you, it is not even about us, rather marriage is about Him. We only sacrifice to each other in order to help one another grow in Christ. In light of this, it is time we move beyond talk of who is in control, whether it is an equitable partnership or whether the husband is the authority. It is time we move beyond the ceaseless and pointless debates over whether we should be married for other or for us. We are married for Christ. As St. John Chrysostom points out in one of his homilies on marriage, the married are to help one another become saints. Sometimes this requires us to submit to the needs of our spouse while other times it requires us to correct our spouse’s action. To find the purpose of marriage we must not look to the two being married, but to the One who instituted the system. Only then can we begin to move beyond Egalitarianism and Complementarianism and jointly unify with Him. Posted on November 7, 2013 November 7, 2013 by Joel	This entry was posted in Church Related, Theology and tagged Christian, Devotional, feminism, Gender roles, marriage, Religion, Seth Adam Smith, Spirituality. Bookmark the permalink.